Artistic Expressions will present two evenings of dance, bringing together diverse dance styles and cultures, September 3rd- 4th at the Little Theatre in this year’s offering ‘Cultural Fusion’. 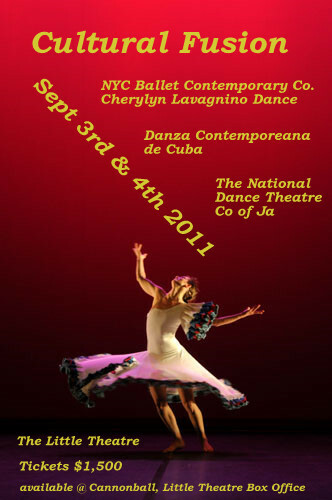 The first of two evenings will feature, Cherylyn Lavagnino Dance, a New York City based contemporary ballet company alongside the time treasured National Dance Theatre Company of Jamaica and the second will feature the athletic Danza Contemporeana de Cuba led by Artistic Director Eduardo Rivera, choreographer of ‘Sulkari’, with selections from The National Dance Theatre Company. Both nights will also feature Special Guest Artists and Choreographers. Artistic Expressions continues to be concerned with promoting the growth of art, culture, poetry, music and dance in Jamaica. The founders have a keen understanding that culture and art are the underpinning of the preservation of many unique histories of peoples. Artistic Expressions constantly evolves and explores avenues to bring forth the richness of the collective expression of peoples. Artistic Expressions has hosted over the years many diverse artists including musicians and writers and more recently visual artists and dance artists including Nobel laureate Derek Walcott; Lorna Goodison; Edward Baugh; Mervin Morris; The French Ballet Jazz Company CIE Rick ODUMS; Della Manley; Dean Fraser among others. In 2010, Artistic Expressions partnered with Enterprise Development Trust to provide scholarships for an Excelsior High School Students valued at J$100,000, and continues to be committed to youth development. Cultural Fusion 2011, brings together dancers from three cultures on one stage, and builds on the successful staging of Cultural Fusion 2010, in which the French Ballet Company Rick ODUMS delighted the audience alongside the NDTC. 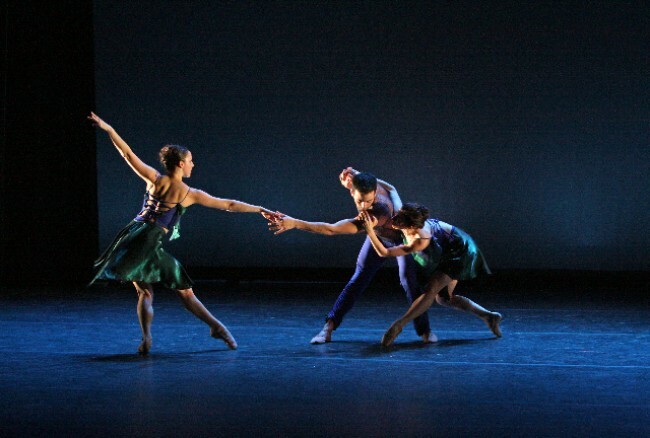 Saturday’s show features: the NYC based ballet comtemporary company, Cherylyn Lavagnino Dance, the NDTC & Guest Artists. Sunday’s show features: the Cuban dance company, Danza Contemporeana de Cuba, the NDTC & Guest Artists. For more info contact Stefanie Thomas at stefaniesimone@gmail.com. Photos from last year’s Cultural Fusion, photographer Monica DaSilva. Nice. Sorry I will miss it…I hope someone reviews the show I look forward to it!